In a standard setup, your visitors will signup for a membership account after they read your membership offers. You will use one these registration scenarios for them to register for an account. 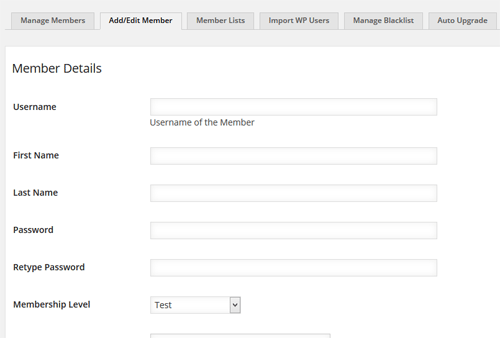 However, you can also manually add members to your site via the admin dashboard if you need to. Click to the Members link from the eMember plugin’s admin menu. Click on the Add/Edit Member link from the top navigation menu. Fill in the details of the member and hit the save button. You can assign a generic password and tell the user to change it later from the profile edit page.